A variety of factors are involved in the formation of acne. First, male hormones that are present in both males and females, called androgens, must be present. But that is where the consensus among scientists ends. Traditional research suggested that androgens lead to increased skin oil, which lead to an overproduction of skin cells, which then clog a pore, trapping skin oil inside. 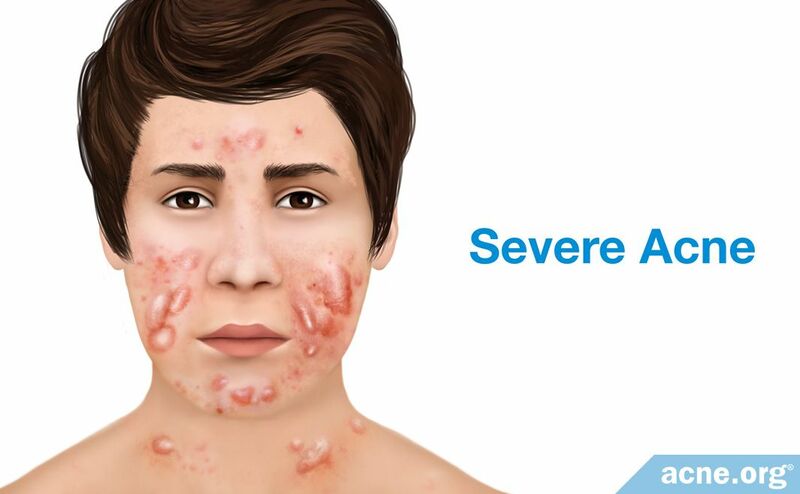 Acne bacteria, which feed on skin oil, then overgrow inside the pore, causing inflammation, and a red and sore acne lesion. However, newer research has found that inflammation is present at the very earliest stages of acne development. 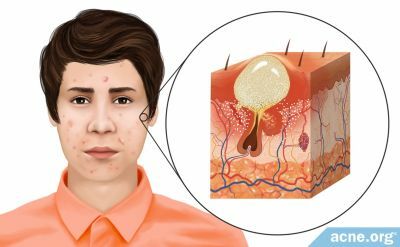 This article is an in-depth look at all known aspects of acne development, and explores the various theories. This article will take a deep dive into how acne is formed. 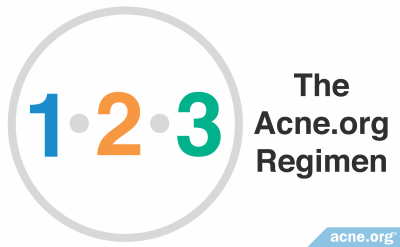 If you prefer a simpler explanation, see our What Is Acne page. Acne formation begins in the pores of the skin, called sebaceous follicles. These follicles contain two main components: sebaceous glands and vellus hair. Sebaceous glands produce sebum (skin oil), and vellus hair is the thin, short hair that is nearly invisible to the eye. 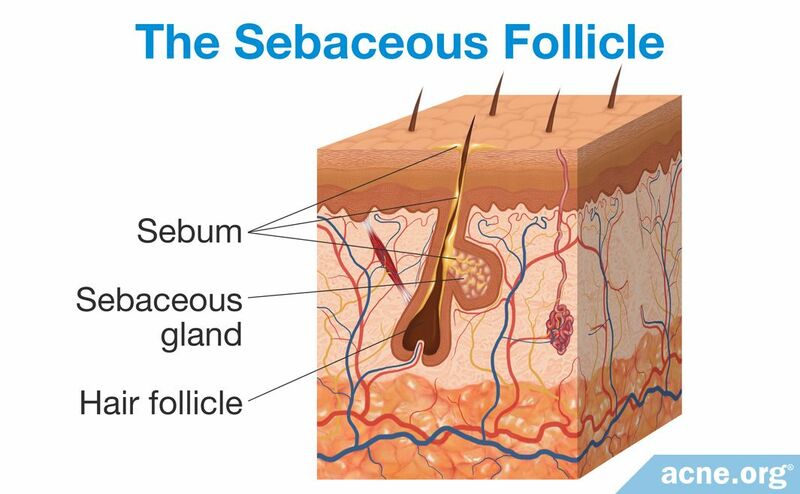 Sebaceous follicles are abundant all over the body except on the palms of the hands and soles of the feet. On the face, they are especially numerous, with 200+ follicles covering each square centimeter. An acne lesion forms when a sebaceous follicle becomes clogged. There is a variety of factors that can cause this. 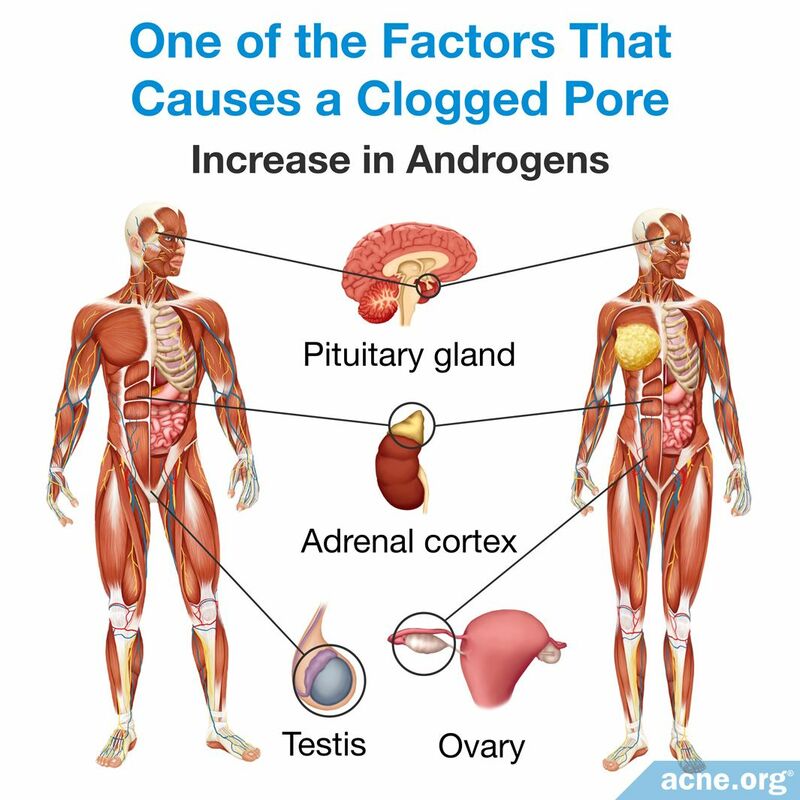 An increase in androgens (male hormones present in both males and females) causes changes in the skin that promote clogged pores. For example, elevated androgen levels cause an increase in sebum production and in skin cell production, which can lead to a clogged pore. Puberty results in an increase in androgens, which also causes an increase in sebum. The increase in androgens explains why puberty often is the age of the onset of acne. 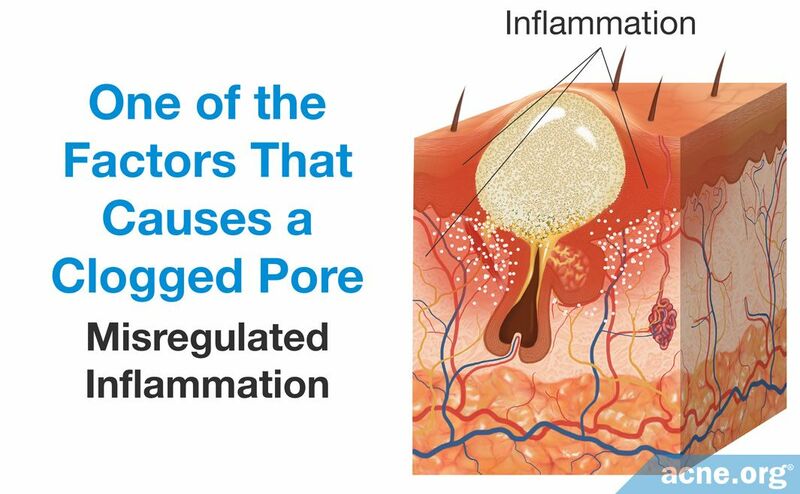 Misregulated inflammation leads to an overgrowth of skin cells and the narrowing of a pore's opening. Inflammation is the body's normal defense mechanism. Controlled by the immune system, inflammation is a complex process that consists of immune-cells and immune system molecules, of which there are many types. Acne is considered to be an inflammatory disease, as inflammation is crucial to its development. An increase in sebum production may contribute to the overproduction of skin cells that narrow the pore's opening. Sebum is produced by sebaceous glands, which are attached to the sides of follicles. The face and upper torso contain the largest sebaceous glands and are the regions that are most prone to develop acne. 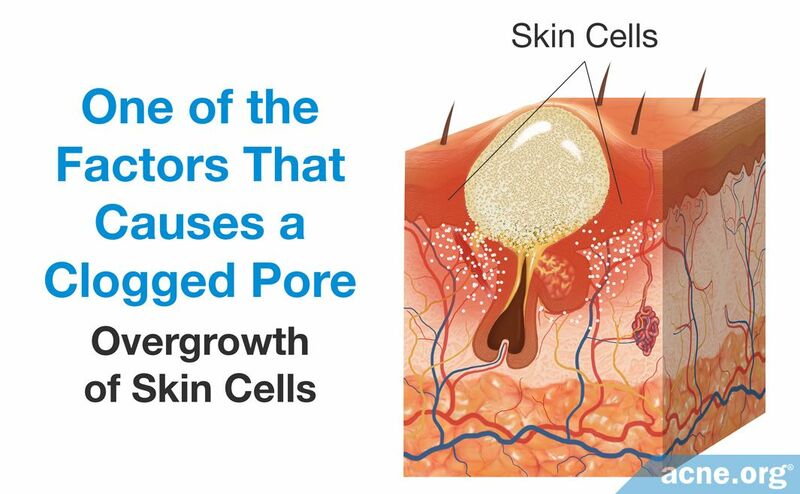 An overgrowth of skin cells results in excess skin cells near the opening of the pore. The abundance of skin cells causes the top portion of the pore to narrow, which encourages clogging. Although acne researchers understand that these factors play a role in the development of acne, they do not know which factor leads to the next and ultimately creates an acne lesion. However, researchers have been able to sketch out the main steps of acne lesion development. Let's have a close look. The first step in acne development is the formation of a microcomedone, which more commonly is known as a "clogged pore." A microcomedone is small and cannot be seen with the naked eye. Its formation triggers a series of events that can block the escape of sebum, which normally drains to the surface, from the pore. Sometimes the microcomedone can become unclogged on its own. However, if it does not, the buildup of sebum causes the pore to swell, forming a comedone. Comedones are visible to the naked eye, and there are two types: closed comedones (whiteheads) and open comedones (blackheads). Now let's delve deeper and look at how inflammation leads to a microcomedone, which then can develop into a comedone, an ultimately a papule, pustule, nodule, or cyst. During the past decade, scientists reexamined and reformulated their idea of how acne develops. The older, traditional hypothesis stated that the overproduction of androgens, the male hormones found in both males and females, was the starting point of acne development. The newer hypothesis states that inflammation is the starting point. Scientists first discovered androgens in 1936 and soon after realized their connection with acne. Research revealed that an elevation of androgens causes an excess production of sebum. Proponents of the traditional hypothesis believe that such sebum production leads to acne because it induces an overproduction of skin cells. Normally, skin cells constantly flake off of the skin and are replaced by new cells. 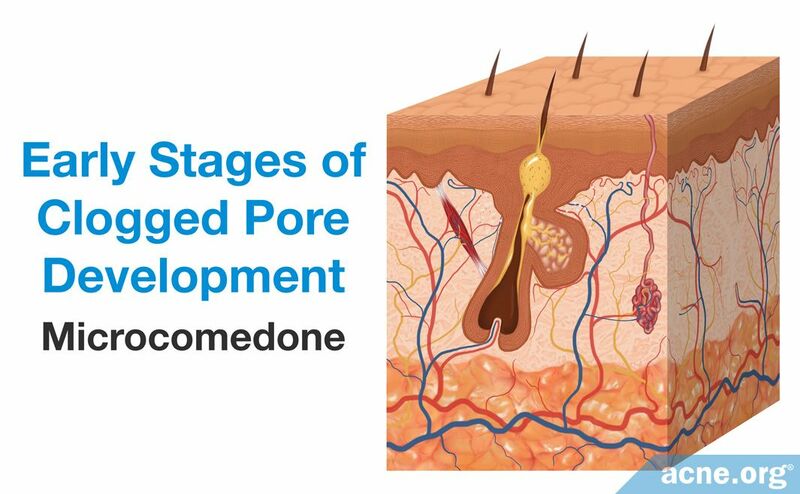 However, the overproduction of new skin cells combined with a buildup of dead skin cells can narrow the opening of the pore, making it prone to clog: this then leads to the formation of a microcomedone. According to the traditional hypothesis, the progression from a microcomedone to a comedone is triggered by the presence and growth of P. acnes bacteria. 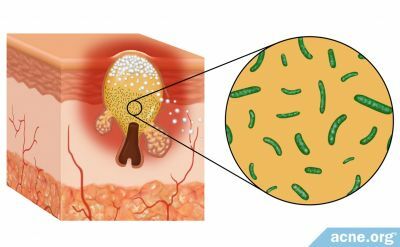 Inside a clogged pore, there is little to no oxygen, and P. acnes thrives in environments with an abundance of sebum but little to no oxygen and therefore begins to reproduce rapidly. This overgrowth stimulates the immune system to begin an inflammatory response. Specifically, P. acnes stimulates the immune system by releasing proteins and other molecules that recruit immune-cells and inflammatory molecules to the site of a clogged pore. Once the inflammatory response begins, P. acnes then can bind to a special protein on the surface of skin cells and immune system cells called toll-like receptor 2 (TLR-2) and trigger an even stronger inflammatory response. This strong and often excessive inflammatory response can weaken the follicle's wall. 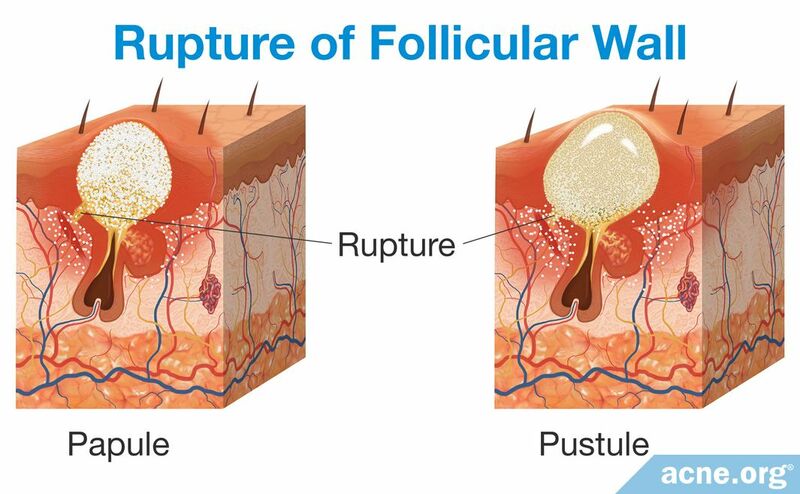 The inflammation eventually causes the follicle wall to rupture, releasing the contents of the pore into the surrounding tissue. The body reacts to these contents as if they were foreign invaders and steps up inflammation even further. An inflamed papule forms if only a small portion of the pore wall breaks. If the pore collapses, a nodule or cyst can form. If the inflammation inherent to these inflamed lesions is not controlled, it can lead to acne scarring and post-inflammatory hyperpigmentation (dark/red marks left over once the lesion heals). As research continued into acne, it was discovered that inflammation is present much sooner than was originally suspected. The following studies show us these discoveries. This led to a newer hypothesis that puts inflammation sooner in the chain of events that lead to acne. Although this newer hypothesis states that inflammation is one of the earliest factors involved in acne lesion formation, it includes the other factors traditionally associated with acne, including excessive sebum, overproduction of skin cells, and P. acnes overgrowth. Although scientists learned that inflammation is the trigger for acne, they have not identified what causes this initial inflammation. In an effort to identify what causes it, scientists put forward two proposals: the elevated base inflammation proposal and the stress proposal. As stated, scientists have not identified what causes the initial inflammation inherent to microcomedones. To explain how inflammation may trigger acne development, some researchers proposed that a low level of inflammation consistently is present in the skin to keep the skin cells alert and prepared to respond to bacteria that may try to enter the body or damage the skin. This means that a small level of inflammation always is present in the skin. However, this proposal suggests that in the skin of acne-prone people the baseline level of inflammation is higher than in the skin of those who are not prone to acne, and this higher level of inflammation is what causes some people to develop acne. 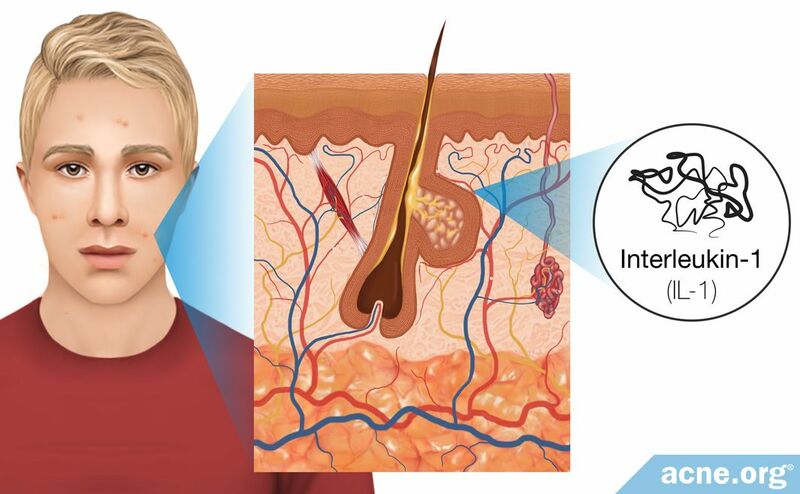 In support of the proposal that a low level of inflammation always is present in the skin, scientists performed two studies that found there are at least two immune-molecules elevated in the skin of acne patients: interleukin-1 (IL-1) and defensins. A second explanation of what triggers the initial inflammation in acne patients proposes that stress may be partially responsible for triggering the inflammatory response at the site of microcomedones. Typically, stress is defined as a state of mental anxiety, but the body's stress response can be triggered also by physical stress caused by small wounds. For the skin, this entails friction, scrubbing, and harsh cleansing. Scientists found that physical stress can lead to inflammation by causing neuropeptides (substance P) and hormones to assemble, although there likely are other ways that scientists have not discovered. 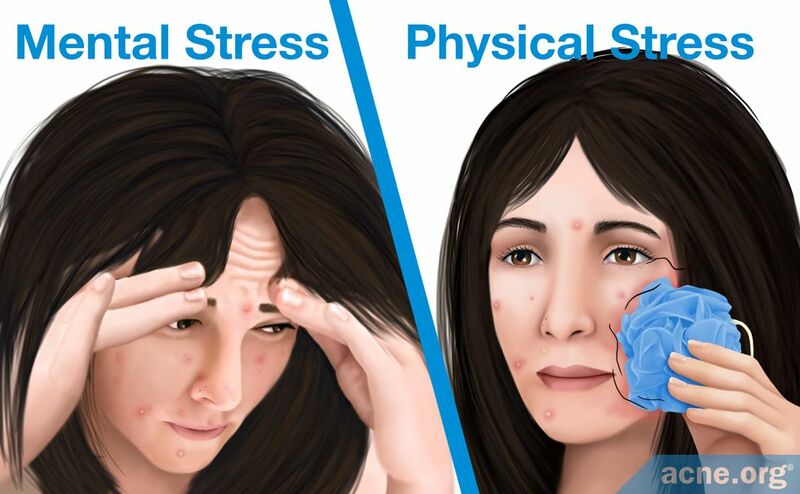 Although we need more research to confirm the connection between stress, inflammation, and acne, it is possible that stress results in the release of neuropeptides and hormones that trigger inflammation in an early acne lesion. Now that we know the possible ways that inflammation is involved in the formation of a microcomedone, let's look at the other factors involved in forming a microcomedone, and how that initial clogged pore can turn into a non-inflammatory lesion. 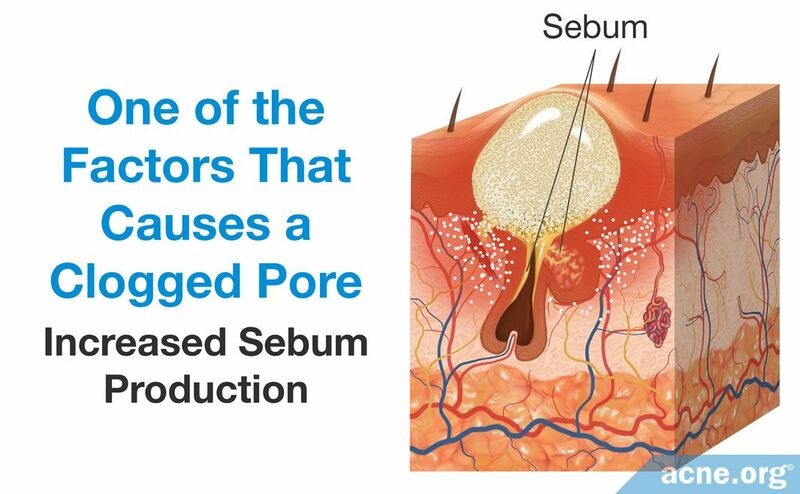 Excessive skin cell growth in the pore, called follicular hyperkeratinization, combined with excessive sebum production, called seborrhea, as well as changes in the composition of the sebum, lead to clogged pores. A microcomedone is formed in a process called follicular hyperkeratinization, which consists of two changes to the skin: the overproduction of new skin cells and the retention of dead skin cells. Essentially, an overproduction of new skin cells results in the thickening of a pore and an increase in dead skin cells that do not flake off the inside. Both of these processes result in a narrowed opening of the pore. 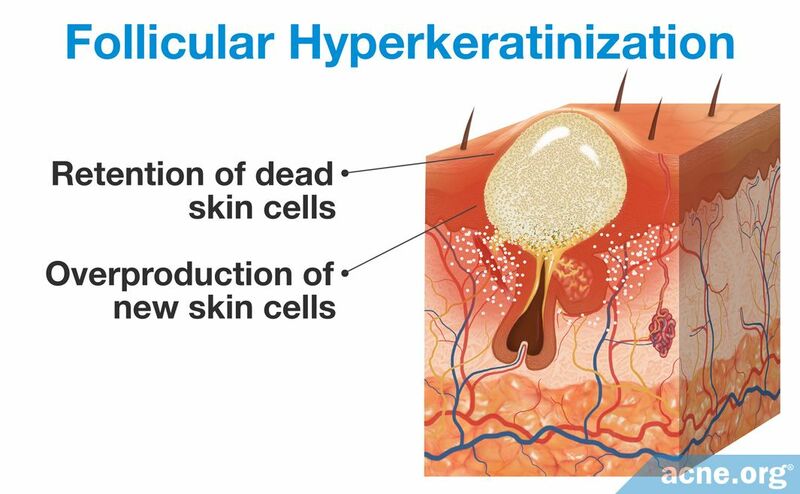 No one knows what causes follicular hyperkeratinization, but several factors, including hormones, IL-1, and sebum, may contribute. Follicular hyperkeratinization leads to the formation of a microcomedone, but sebum transitions a microcomedone into a comedone. The most well-known process by which sebum forms a comedone is through seborrhea, which is excessive sebum production and is thought to contribute to follicular hyperkeratinization. Once follicular hyperkeratinization narrows the pore opening, it becomes difficult for the sebum to drain onto the surface of the skin. 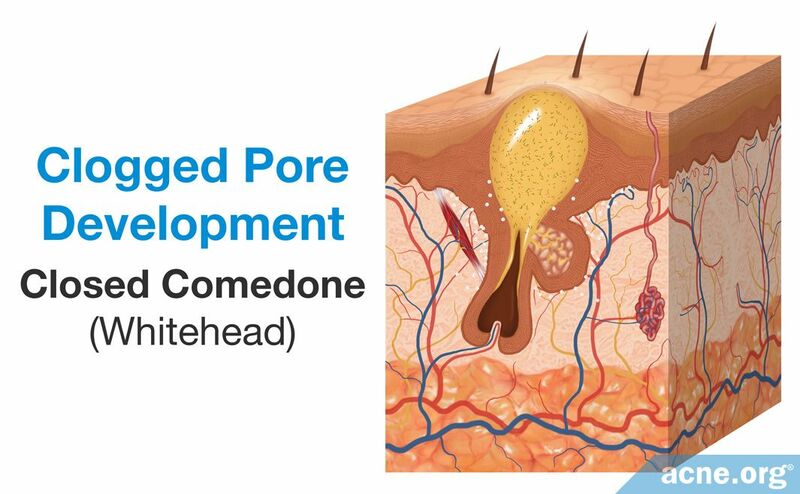 When sebum does not drain, it begins to build up in the pore, leading to the formation of a visible closed comedone (whitehead) or open comedone (blackhead). Scientists found that changes in the compounds that make up sebum also may play a role in microcomedone formation. Specifically, research found that there are differences in the sebum of acne patients and non-acne patients. 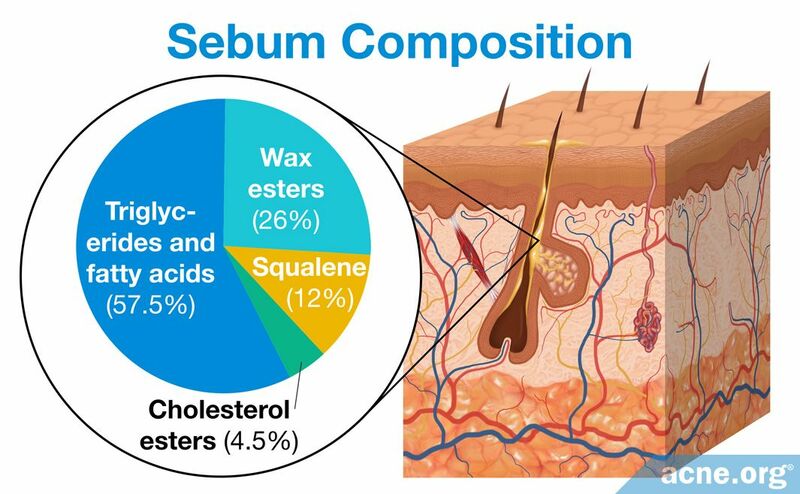 Sebum normally is composed of a variety of lipids, which are molecules with oil-like properties. There are hundreds of different lipids in the human body, but sebum predominantly comprises squalene, wax esters, triglycerides, fatty acids, cholesterol esters, and free cholesterol. The concentrations of these lipids can differ widely between people with and without acne.2 Two main differences between the sebum of acne patients and sebum of non-acne patients are levels of linoleic acid (linoleate) and production of squalene peroxide. 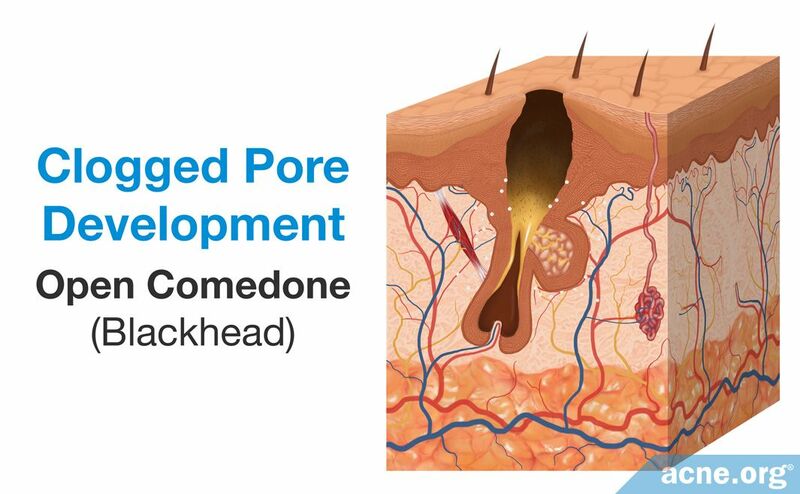 Now that we know how a comedone forms, let's look at the next stage of acne development, where a non-inflammatory comedone becomes an inflammatory papule, which fills with pus to become a pustule. Papules and pustules are the two most common types of acne lesion that scientists traditionally have classified as "inflammatory." A papule is a red elevated lesion with a diameter up to 5mm that contains no white or yellow center. A papule turns into a pustule once a collection of white or yellow pus fills the pore and accumulates at the surface of the lesion. People refer to pustules often as "pimples" or "zits. "11,13 Most papules and pustules develop from a comedone, though sometimes they skip the comedone stage and develop directly from a microcomedone. As the majority of inflammatory acne lesions go through a comedonal stage before becoming an inflammatory lesion, let's examine the steps that occur to develop a comedone into an inflammatory lesion. Microcomedones develop from microscopic changes in the pore. Specifically, as we have seen, follicular hyperkeratinization combined with seborrhea and changes in sebum composition narrow the opening of a pore. This leads to a buildup of sebum inside the pore. Because the pore is clogged, oxygen levels within drop. The high-sebum and low-to-no oxygen environment provides for an ideal environment for the growth of the bacterium, P. acnes. In such an environment, P. acnes grows and divides quickly, which affects the pore in three ways. The growth of the bacteria builds pressure inside the pore. How pus is formed: The rupture of the follicle triggers the infiltration of immune-cells, including neutrophils, to the area surrounding the pore in order to repair the damage caused from the rupture. However, repairing the ruptured follicle is dangerous for neutrophils, and many become damaged and die in the process. When neutrophils die, other immune-cells called phagocytes attempt to consume the dead neutrophils in order to remove them from the inflamed area but quickly are overwhelmed and cannot handle such a number of neutrophils. The products of the dead, consumed neutrophils combined with the fluid that appears at the site of inflammation produces the pus. In other words, the remains of dead neutrophils that accumulate over a two-day period become the pus that is present in the pustule.17 A pustule releases its contents either onto the skin surface naturally or through a person "popping" the lesion, or the body absorbs the pus and heals the lesion. As we have seen, if a pore ruptures, a papule forms, which then fills with pus to become a pustule. However, sometimes, a pore does not rupture only in small area, and instead, completely explodes deep within the skin. In that case, a severe acne lesion can result. Let's look at how this occurs next. The two most severe types of acne lesion are nodules and cysts. They often result in severe tissue damage, which frequently leads to scarring of the skin. Tanghetti, E. The role of inflammation in the pathology of acne. J Clin Aesthet Dermatol 6, 27 - 35 (2013). Cunliffe, W. et al. Comedone formation: Etiology, clinical presentation, and treatment. Clin Dermatol 22, 367 - 374 (2004). Brogden, R. & Goa, K. Adapalene. Drugs 53, 511 - 519 (1997). Oberemok, S. & Shalita, A. Acne vulgaris, I: Pathogenesis and diagnosis. Cutis 70, 101 - 105 (2002). Norris J. F., Cunliffe, W. J. A histological and immunocytochemical study of early acne lesions. Br J Dermatol 118, 651 - 659 (1988). 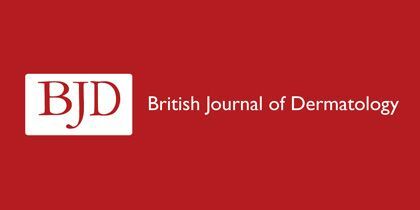 Jeremy, A. H., Holland, D. B., Roberts, S. G., Thomson, K. F. & Cunliffe, W. J. Inflammatory events are involved in acne lesion initiation. J Invest Dermatol 121, 20 - 27 (2003). Do, T. et al. 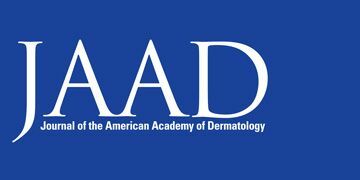 Computer-assisted alignment and tracking of acne lesions indicate that most inflammatory lesions arise from comedones and de novo. J Am Acad Dermatol 58, 603 - 608 (2008). Ingham, E., Eady, E. A., Goodwin, C. E., Cove, J. H. & Cunliffe,W. 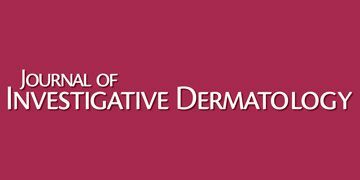 J. Pro-inflammatory levels of interleukin-1 alpha-like bioactivity are present in the majority of open comedones in acne vulgaris. J Invest Dermatol 98, 895 - 901 (1992). Chronnell, C. M. et al. Human beta defensin-1and -2 expression in human pilosebaceous units: upregulation in acne vulgaris lesions. J Invest Dermatol 117, 1120 - 1125 (2001). Thiboutot, D. The role of follicular hyperkeratinization in acne. J Dermatol Treat 11, 5 - 8 (2000). Kurokawa, I. et al. New developments in our understanding of acne pathogenesis and treatment. Exp Dermatol 18, 821 - 832 (2009). Gollnick, H. Current concepts of the pathogenesis of acne. Drugs 63, 1579 - 1596 (2003). Degitz, K., Placzek, M., Borelli, C. & Plewig, G. Pathophysiology of acne. JDDG 5, 316 - 323 (2007). Toyoda, M. & Morohashi, M. Pathogenesis of acne. Med Electron Microsc 34, 29 - 40 (2001). Zouboulis, C. et al. Acne is an inflammatory disease and alterations of sebum composition initiate acne lesions. J Eur Acad Dermatol Venerol 28, 527 - 532 (2014). Buxton, P. ABC of Dermatology (4th ed). 49 (Blackwell Publishing, 2003). 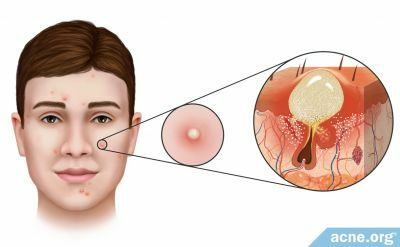 What Is an Acne Pustule?